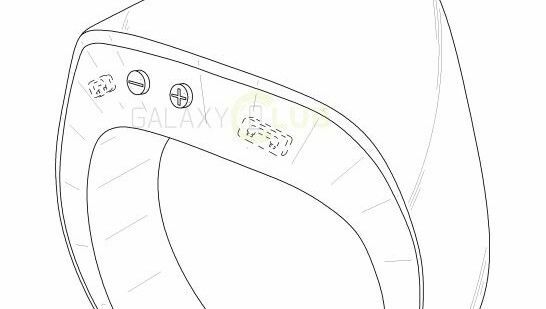 It's been a good nine months since we last saw any info on Samsung's secretive potential foray into the world smart rings, but the publication of a new design patent could give us our closest look yet at a new world of wearable tech. The patent, which was discovered by Dutch tech site Galaxy Club, shows the design from a variety of angles, presenting a noticeably chunky shape presumably large enough to hold a small LED screen. There's also a set of physical buttons on top, presumably for navigating apps, etc. While this recent patent is a little thin on the details, the one filed back in December is a little more explicit, making reference to the ability to pair with smartphones and smart TVs. There's even the mention of the potential to sync with home automation products. There's no news yet on whether this design will make the light of the day - patents aren't always a guarantee of an emerging product, after all - but it's intriguing to see Samsung at least exploring the idea. Samsung isn't the first big tech firm to submit a patent application either - both Apple and Microsoft have ticked that box, but with Samsung's success with the Gear 2 and the Gear VR the South Korean company clearly has the know how and the experience to make it work. There's also the NFC ring, recently trialled at the 2016 Olympic Games in Rio by Visa. That's right, the ability to pay for your shopping with the wave of a hand. Have we reached peak wearable yet?